Beijing is calling on Washington and South Korea to end the deployment of the US' THAAD system in South Korea, China's Foreign Ministry spokesman Geng Shuang said Friday. BEIJING (Sputnik) — Beijing is calling on Washington and South Korea to end the deployment of the US' Terminal High Altitude Area Defense (THAAD) anti-ballistic missile system in South Korea, China's Foreign Ministry spokesman Geng Shuang said Friday. On Monday, US Forces Korea spokesman Col. Rob Manning told Sputnik that the THAAD system had already become operational and was ready to protect South Korea from a potential attack by North Korea. "I think that as for THAAD our position is clear and decisive. We are against the deployment of THAAD in South Korea. We call on the relevant parties to stop the deployment of THAAD immediately," Geng said at a briefing. He added that China would exert maximum efforts to protect its interests. 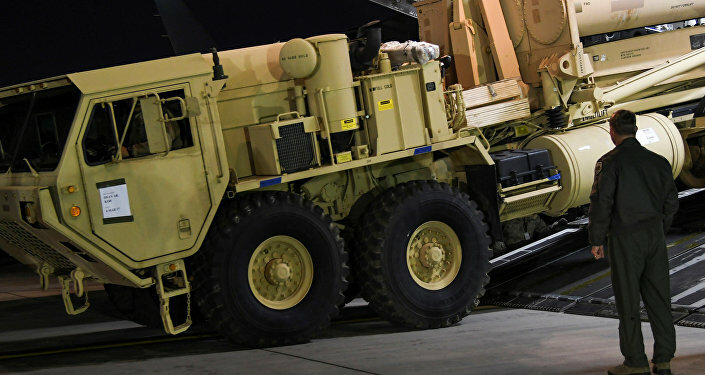 In 2016, South Korea and the United States reached an agreement to deploy the THAAD system on the Korean peninsula amid rising tension caused by Pyongyang's activities testing nuclear programs and missiles. The Chinese government has repeatedly voiced concerns over the THAAD issue, saying that the deployment would significantly undermine Beijing's security interests.